The National Parks of Tanzania are arguably some of the best in Africa. There are 17 different parks, and each boast their own unique selling points. Ruaha National Park is the largest in Tanzania and located just near the beautiful city of Iringa. Travelling to Ruaha National Park is as simple as jumping aboard a Cessna and flying into Iringa. From Irigina, it’s a two hour drive to reach the park. 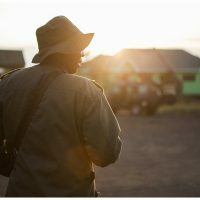 Another popular way is by taking a road trip through the beautiful inland landscape of Tanzania. Ruaha is most known for its large elephant population, but you’ll also see a healthy lion population, which is the second largest in Africa. Other wonders of Ruaha include the elusive wild dog, cheetah, leopard, jackal, and hyena as well as a large bird population. 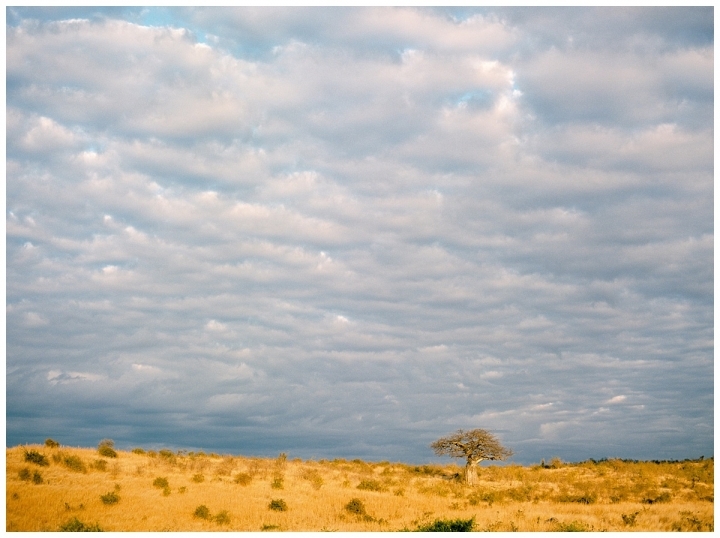 There is also something to be said for Ruaha’s awe inspiring landscape. Boasting a high density of Baobab trees, it’s difficult to find one without damage caused by the resident elephants. A very different park in the wet season compared with the dry season, Ruaha National Park can be visited many times, with each showcasing a different experience. Animals are likely to be more easily visible in the dry season. This is when water become scarce and the Great Ruaha River becomes the main water source for the animals of the park. In contrast, the wet season is a mecca for bird watchers and those that like Hippos and Crocs. During the dry season, the Baobab trees take on a somewhat ghostly, yet elegant profile and the plains turn from a lush green to a golden wheat colour. 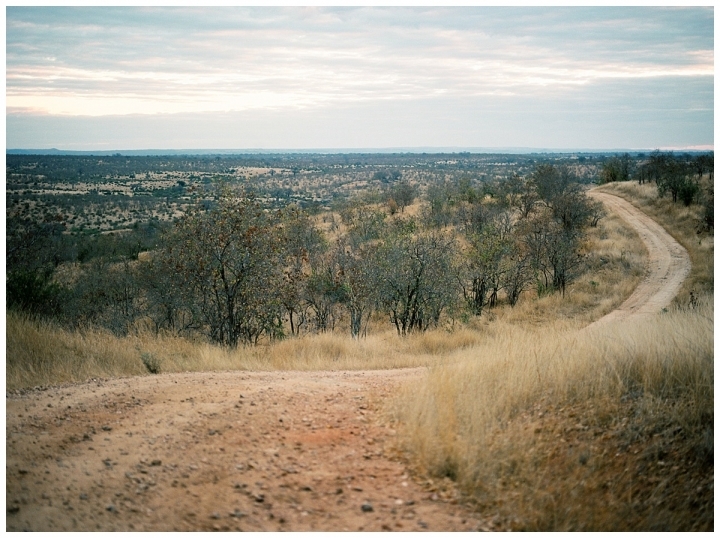 Capturing this stunning landscape is as lust inducing as spotting an elephant rubbing against a Baobab. The river lowers and the sun reflects the golden hues of the dry land. Sunsets and sunrises are saturated by the heat and the dust. This makes it the perfect palette to capture with Kodak Ektar and Kodak Portra 160 35mm photographic film. 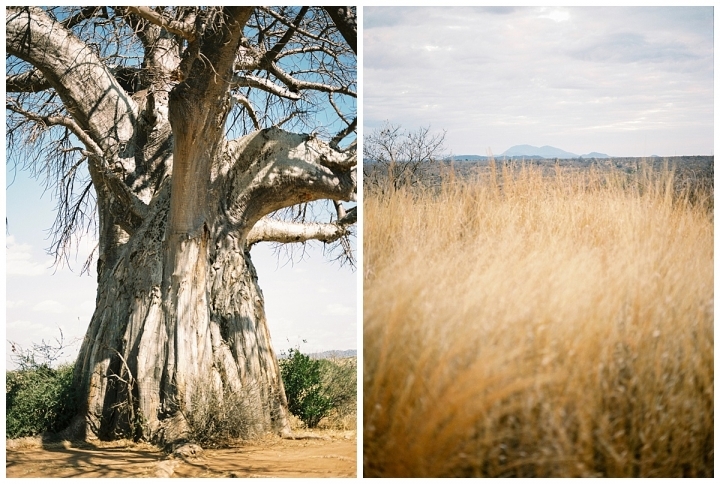 Below is a selection of images from these scenes, proving that even without the animals in focus, Ruaha National Park is still one of the most beautiful places in Tanzania. If you are considering joining a photo safari and would like to know more, please contact me on hello(@)cjeklund.com. You can also say hello directly through the Contact section of this site, located in the top right corner of the main menu. Ruaha National Park is located in western central Tanzania and you can find more information by clicking this link. Accommodation in Ruaha is wide. However, CJE can recommend Ruaha River Lodge, which is situated right on the bank of the Great Ruaha River. In the dry season, half of the camp is witness to the herds of Hippo that take up residence in the rock pool just 10 metres from the tents. In the evenings, Giraffe, Elephants and other animals all come to drink from the river, making for a spectacular scene. Set against the backdrop of Chariwindi hill as the sun sets on its peaks, it’s like nothing else you’ll see. Destination weddings can be amazing, and a Zanzibar wedding can be incredible. The crystal blue sea, the palm trees and the beauty of Stone Town. When a couple from Eastern Europe decided to marry, CJE was right there to document it. A wedding in Zanzibar takes a lot of planning, especially if a couple lives primarily on two different continents for most of the year. Thankfully, they have some friends who live and work in Arusha that were able to facilitate the major workings a destination Zanzibar wedding demands. I am normally very selective when it comes to photographing weddings. There’s a lot that goes into vetting both a couple and a location. That’s why when I click with a couple, all that work is worth it. Meeting D and M for the first time was no surprise. They were both exactly how their friends had described them, and also exactly how they came across in online meetings. It’s fantastic when an Artist can work with a couple who trusts them. D and M put complete trust in me when it came time to documenting their Zanzibar wedding. They understood my preference for 35mm film and were as enthusiastic as I was to interpret their day through a chemical process. An intimate affair, D and M had their two closest friends with them to celebrate their luxurious wedding day. Starting in Nungwi at the Mnarani Beach Cottages, their ceremony was colourful, happy and romantic. Situated right beside the sea at the Northern most part of Zanzibar, and dressed in a gorgeous red trimmed gown and a traditional red Zanzibarian outfit, they both said their I do’s. Celebrated by their friends, the hotel staff and the guests, they started their celebrations with a few photos on location before we spent the next day and a half in various locations over Zanzibar, including Kendwa, a palm tree farm and the elegantly beautiful Stone Town. Below, you can see the result from their wedding day and the portrait sessions that followed thereafter. Photographed mainly with Kodak Portra 400 35mm film, coupled with some digital, D and M’s day was full of colour and light and I couldn’t have been happier than to be able to document these memories for them. If you are considering a destination wedding and would like to know more, please contact me on hello(@)cjeklund.com or directly through the Contact section of this site, located in the top right corner of the main menu. The Mnarani Beach Cottages are located in Nungwi on the northern most tip of Zanzibar and you can contact them by clicking on this link. Kendwa is a popular tourist destination on the western coast of Zanzibar and is known for hosting fantastic Full Moon Parties. It is also one beach in Zanzibar where the tide does not lower drastically and where the sun sets over the water. You can also see the amazing view over the Zanzibar rooftops at the terrace restaurant at Maru Maru. Skip the elevator in favour of the stairs to see a cultural photographic history of the hotel’s past, including visits from the Clintons. Once you reach the top, grab a cool drink and some appetisers and marvel at the gorgeousness that is Stone Town. Zanzibar and Stone Town are accessible by air through Zanzibar’s own airport or by sea from Dar es Salaam on the modern, clean, and comfortable fast ferries by Azam Marine.